Yes! I would like to sign up to receive emails or other types of commercial electronic messages on the latest product announcements, promotions, service specials and more from Centaur Subaru. You may withdraw your consent at any time by clicking the unsubscribe link contained within all of our commercial electronic messages or by updating your preferences with us. This advanced infotainment system is your gateway to an exciting digital world. Simply connect your mobile device to access premium multimedia content through various apps designed to heighten the thrill of the open road. With your Apple or Android device connected, use the touchscreen display to safely access content such as hotels, restaurants, music, news, weather, stocks, audiobooks – even your Google calendar. Even if you’re far from home, the entertainment and information you want is always close at hand. Compatible with both Apple® and Android™ devices, Subaru STARLINK™ App* gives you more hands-free capability so you can focus on the task at hand – driving. 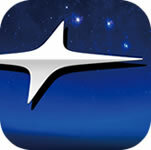 The STARLINK App is available as a free download from Google Play and iTune app stores. Once installed, you can easily control access and use the variety of content through your device and the infotainment system’s touchscreen. Steer clear of bad weather – the display refreshes every 10 minutes with the latest temperatures and 3-day forecast for your current region and chosen regions. Never miss a meeting or important date – displays your monthly and daily schedule from Google calendar created and accessed through your smartphone. Stay current on what’s happening – choose to display news articles from your choice of up to six different sources. Your tunes, your way – select an artist, playlist, album, track or simply choose shuffle for the system to play from your smartphone. Aha™ is a cloud-based application that connects through your smartphone for safe and easy access to your favourite web content. The Aha™ app* is available as a free download from Google Play and iTune app stores. Once installed, your Aha™-ready infotainment system requires no syncing for easy fingertip access to your music, news, podcasts, talk radio, over 100,000 available stations, and social media – all through the touchscreen. Now you can easily organize all your favourite content from the web into personalized, live, on-demand stations. You can even arrange your content as presets in the same list. And the available navigation package displays points of interest information and routes on the map screen when applicable. Catch up on the latest best-sellers or revisit a favourite classic. There’s a wide selection to choose from. 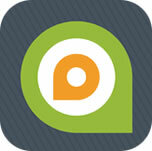 Find your favorite albums, radio stations, podcasts and more. Stay in the know through global, national and regional news stations and Podcasts. Have your personal Twitter or Facebook feeds read to you. Or post an audio message directly to your wall. Follow your favourite teams, listen to games or get updates through sports dedicated radio stations or podcasts. Listen to the experts discuss your favorite topics covering all kinds of categories from business to health to technology. My Podcast gathers the latest episodes from all podcasts designated as presets and puts them together in a single station. To bring you the best content around Aha™ has partnered with a wide range of content providers like Ted Talks, Trip Advisor and Yelp, just to name a few. See more of the 100,000 stations here. *Compatible smartphone and application required. For applications to operate, latest version of each application and optional integrated audio and navigation system unit is required. Data provided by smartphone is displayed on navigations screen. Some provincial laws prohibit the operation of handheld electronic devices while operating a vehicle. Smartphone apps should only be launched when vehicle is safely parked. Your wireless carrier’s rates may apply.